Make yourself at home… Just bring your suitcase! ALL utilities and lawn care are included. 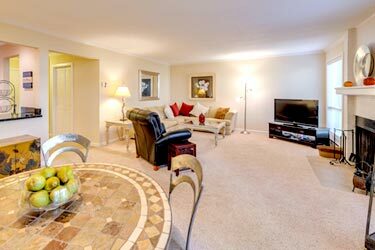 HDTV and High speed internet WiFi with wireless access included. No set up/disconnect fees. Expansive inventory of house wares, dishes, cookware, plush towels, deluxe bedding—even cleaning supplies, paper products, laundry and dish soap to get you started. Click here for our complete list of inventory. Washer and dryer inside the unit, vacuum, iron and ironing board included. Locations of properties . . .
We are conveniently located on Seattle’s Eastside, comprised of the communities of Redmond, Kirkland, Bellevue, Woodinville and Bothell. Please contact us directly for current available properties in your desired area. 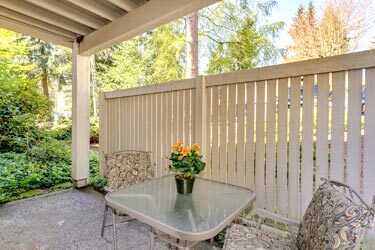 All of our locations are less than 5 - 7 miles from Bellevue, located less than 15 miles from downtown Seattle, acquired in central, quiet, desirable, SAFE neighborhoods with easy access to local services, shopping, restaurants, schools, parks and metro bus lines. Please visit our community information and resources to find out more about your desired area. Absolutely everything was provided. I can’t believe you even had the baking pans for my homemade muffins! Staying with Between Moves was a PLEASURE, Coral handled everything from end to end with no problems, the unit was clean, comfortable and exceeded our hopes regarding space for our dollar. The unit was conveniently located, quiet, well maintained and our deposit refund was prompt and accurate. 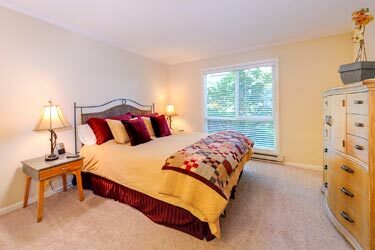 If you are looking for corporate housing, are relocating, (like we were) or are just visiting for longer than a hotel would be practical, call Coral! Rated 5 of 5 based on 23 rated reviews. The Condo was in excellent condition. The location is very convenient with everything needed in a shopping mall just a couple of blocks away. A perfect choice for our temporary needs. Working with Coral was a very pleasant bonus!! © 1992 - 2019. Between Moves. All Rights Reserved.